Under the medicinal care, there are several activities, which an ailing person cannot perform personally. Due to the lack of energy, unconsciousness or physical disability, most of the times patients are not able to perform personal care activities. In order to conduct such deeds, a nursing assistant is given the charge of taking care of a patient’s hygiene routines. Cleaning the mouth of a patient also comes under one such action. This is an essential duty of a CNA to give oral care to the unconscious patients on a daily basis. This protects the patient’s mouth from getting infected from daily germs and diseases. 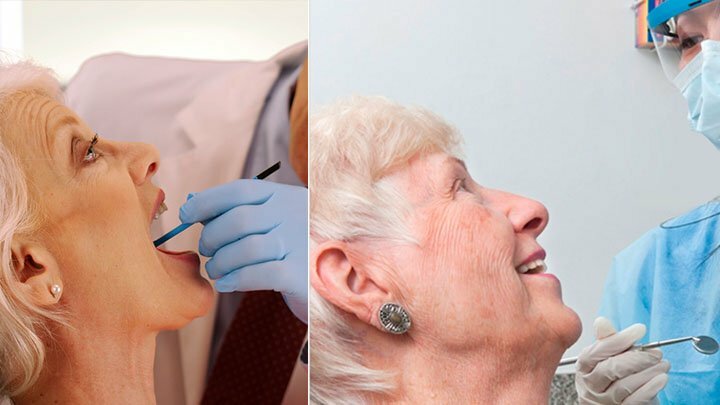 If the patient is given regular mouth care, then various mouth related problems will not arise, and it will also aid in patient’s quicker recovery. You must always remember to begin with the activity of offering oral care to the patient by washing your hands thoroughly. Afterwards, wear a fresh pair of hand gloves. Make sure, you greet the patient pleasantly before starting this care activity. Also, explain the client at first about the services you are going to give him/her (if they are responsive). If the client is trying to assist you in this process, then let them do so. During this process, you must also watch closely the teeth and other oral organs of the patient to find out, if there are any symptoms of the mouth infections or diseases, like lesions, abscesses and etc. Cover the patient’s chest with a clean cloth or a small towel in the beginning of this activity. You have to bring the patient’s bed at a level, where you can get in touch with the patient to conduct the entire process comfortably. Take care that the patient’s head should not be brought higher than 30 degrees. Now, you have to turn the patient’s head to your side very gently. If you are doing the oral care of a conscious person, then you can ask the patient to open the jaws by self. In case of an unconscious person, you have to open the oral cavity of the patient by using a tongue depressor. Hold the tongue depressor in one hand and open the oral entrance slowly. If the patient is conscious, you should ask, whether he/she likes to have more or less tooth paste for brushing. However, in case of insentient patient, you must take a little paste on the tooth brush, as chances are the patient might swallow the extra paste inside. You may also use the tooth cleaning agents in liquid form for the insentient patient. Take a soft toothbrush and start the mouth cleaning process gently. You may also clean the patent’s teeth by dipping the brush into the liquid cleaning agent and applying it on the teeth. You have to clean the gums, teeth and the tongue respectively in the cleaning course. Make sure you do the suction of toothpaste and saliva from the patient’s oral area immediately after the brushing, so to avoid any chemical damage of the teeth.In the situation of a conscious person, you may tell him/her to do the suction properly and splutter it on the water basin given to them. Now, wipe out the extra water on the mouth with a clean small towel. Now, you can bring the client back to a restful position by adjusting the bed level appropriately. Once, the oral cleaning activity gets over, you need to take off your gloves immediately to dispose it. Every time, you are done with any such cleaning activity, make sure you rinse your hands carefully with soap and swab it with a clean cloth to dry. What does the assessor perceives when you act upon this Skill? 1. How do you begin with this oral care activity? Tip- Washing your hands, greeting the patient courteously and etc, are the initial steps to begin with the oral care activity. 2. How do you do the positioning of the patient? Tip- Prior to apply anything on the patient, you must essentially set the bed level to the position where the patient can be comfortable. 3. What devices and products you use for the oral cleaning? Tip- Make sure, you choose the appropriate devices and cleaning products for the oral cavities, seeing the patient’s convenience and condition. 4. Do you rinse the mouth areas properly? Tip- Always, do the rinsing process properly with both kinds of patients, as above mentioned. 5. Do you help the conscious patient to clean and dry the oral areas? Tip- Assist the conscious patient at the time of cleaning and drying their mouth regions. 6. Have you finished the process properly? Tip- Ensure that you perform all the essential activities till the end of the oral care process. Always, be dedicated while assisting the ailing person in executing daily activities, which includes brushing teeth, as well. This makes the patient feel comfortable and aids in recovering sooner. Make sure, you give the patient’s mouth organs an appropriate treatment, so that no mouth infections might prevail further and the patient may remain safe from the pain and future oral diseases. Most significantly, while conducting this activity, look for signs that give an indication for the mouth infectivity reasons and therefore, report the problems immediately to the supervisor nurse, before it may take a greater form. How to Apply Anti-Embolism Stockings? How to Assist a Dependant Patient in Dressing? How to Assist the Patients to Ambulate Using Transfer Belt? How to Clean Upper and Lower Dentures? How to Don and Remove Personal Protective Equipments (PPE)? How to Feed a Resident? How to Give a Partial Bath (Bed Bath) to the Bedridden Patient? How to shift the Patient from Bed to Wheelchair Using the Transfer Belt?